Students at the embattled Evergreen State College, which made national headlines last year after it hosted an event that asked white people not to come on campus for a “Day of Absence,” have organized a new iteration of the controversial event despite administrators’ efforts to shift gears. Students at the Olympia, Washington-based public school have organized a three-day “Day of Absence” observance that includes a mix of events on and off campus. Some gatherings are advertised as open to all skin colors and others ask that only POC, or People of Color, attend. 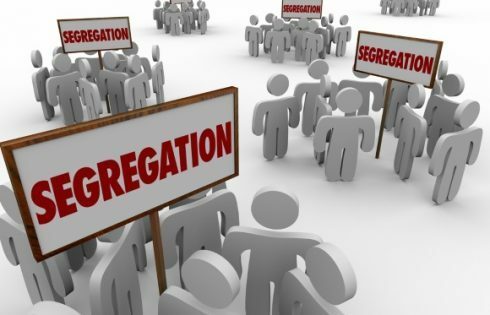 A poster hung at the school obtained by The College Fix declares that the no-whites-allowed self-segregation events will be held off campus. It asks people to RSVP at a website that spells out “No Nazis Allowed” in its URL. The events launch today and run through Friday, according to organizers, who are not interested in media coverage of their event, according to a Facebook screenshot obtained by The College Fix. A spokesman for Evergreen State College did not respond to a phone call and email from The College Fix on Tuesday seeking comment. “The mission of this event is to bring POC together in order to create a reclamation of space and move forward into the future. In reaction to institution’s consistent disregard for our safety, we are operating independently of the college. This is a day for us, by us,” the RSVP page states. 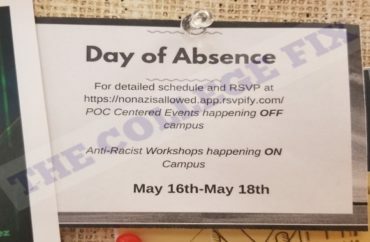 The college’s annual “Day of Absence/Day of Presence” program has been observed for years, during which minority students would voluntarily stay off campus for a day and meet for specialized workshops. 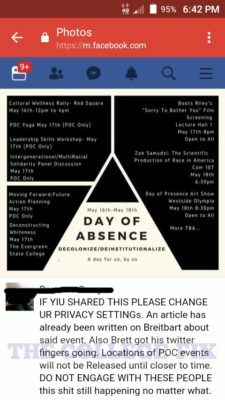 But for the first time last spring, the “Day of Absence” event reversed the usual pattern by asking whites to stay off campus for a day while racial minorities stayed on. Following objections by a white biology professor, Bret Weinstein, students confronted him and campus police told Weinstein they couldn’t protect him on campus. After that, his class met at a nearby park. The situation prompted national headlines and criticism.